Superhero-themed online and mobile casino Rizk burst onto the gaming scene at the beginning of 2016, and began to lead the charge against boring gaming. It has proven itself to be a casino app that is serious about offering players something different while maintaining the highest standards of safety, security, and responsible gaming. At first glance, it almost seems too good to be true. A closer inspection, however, shows that all the hype is well deserved. The casino is licensed and regulated by the UK Gambling Commission and the Malta Gaming Authority to make certain of it. Rizk is worthy of your time and attention. Captain Rizk, the casino’s mascot, is ever-present in a variety of guises. 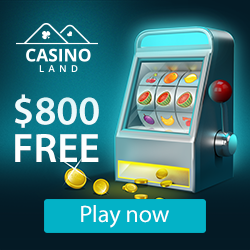 He is there to point the way to new and popular casino games, to special offers, and to the rewards that you could reap simply by playing mobile casino games for real money. The casino’s black and red colour scheme and clean, clear layout makes a bold statement, and that is just the start of it. Whether you log on using a computer or your Android, iOS, or Windows smartphone or tablet, you should find Rizk easy to navigate. Not only is a good selection of games displayed on the landing page, the handy navigation bar makes finding what you are looking for quick and easy. At Rizk there is no need to download software to play games by award-winning software providers such as NetEnt, Microgaming, NextGen, Play N Go, IGT, Yggdrasil, Betsoft, NYX Gaming, Quickspin, Evolution Gaming, and others. As long as your computer or mobile device’s internet connection is active, you can find, launch, and play your favourite casino games. Customer support, an essential part of any mobile casino, is available in various languages at Rizk 24 hours a day, 7 days a week. However, players should take note that support is currently available only via live chat and email. The good news is that the support team’s response times are impeccable, especially via the live chat feature. It offers a range of categories such as Account, Payment, Campaign, and Technical, and sent messages receive an immediate response. Safeguarded from interference by third parties, the Rizk casino banking service accepts currencies including Euro, GBP, NOK, SEK, AUD, NZD, CAD, and USD. The payment methods accepted by the casino include Visa, MasterCard, Neteller, Skrill, POLi, Paysafecard, Trustly transfers, Bank Wire transfers, Euteller, iDebit, Zimpler, and SOFORT. With a squad of top software providers to power it, Rizk is serious about online and mobile casino gaming. The selection of games shows the operator is in touch with what players want, and that the casino moves with the times. Video, Progressive, and Classic 3-reel Slots are in abundance, while thrilling versions of Roulette, Blackjack, Baccarat, Poker, Video Poker, Craps, Sic Bo, Keno, and others ensure you have a fine range of Table Games, Card Games, and Speciality Games from which to choose. Just some of the games available include South American adventure Gonzo’s Quest, the TV show-inspired South Park: Reel Chaos, and the legendary games Mega Moolah and Treasure Nile. If you are looking for Live Casino games, you can find Live Blackjack, Live Roulette, Live Poker variations, and others, all run by professional dealers. Rizk offers a number of casino bonuses and runs regular promotions for players. The welcome package alone could see you get a $/€100 bonus on a $/€100 deposit, as well as 50 free spins. Accumulating loyalty points by playing real money casino games can give you opportunities to spin the Wheel of Rizk for guaranteed prizes, which is how customer loyalty rewards are determined.